July 23, 2018, Adrian, Michigan – The second in a series of educational forums on resilient communities is being offered by Adrian Dominican Sisters from 1:30 p.m. to 4:30 p.m. Wednesday, August 22, 2018, at Weber Retreat and Conference Center. Titled “Resiliency in our Midst,” the program includes presentations by Adrian Dominican Sisters Judy Byron, OP, Maurine Barzantni, OP, and Janet Stankowski, OP, on their experiences in serving in resilient communities. The program is free and open to the public, but space is limited. Early registration is recommended by calling 517-266-4000 or visiting http://bit.ly/RCweber. About 26 years ago, Sister Judy and women religious from four other congregations in the Seattle area responded to the growing problem of homelessness by building partnerships among religious, developers, and residents to create affordable housing and wrap-around services. By reaching out to neighbors and working with others, Mercy Northwest Housing became a national model for comprehensive community development. 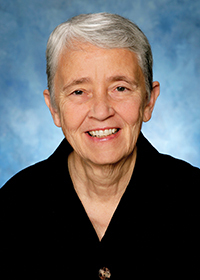 In 1960, Sister Judy entered the Congregation of the Dominican Sisters of Edmonds (Washington), which merged with the Adrian Dominican Congregation in 2003. 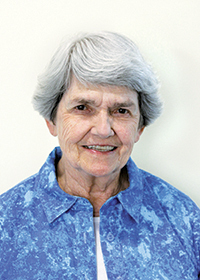 She was elected to serve on the Edmonds Dominicans’ General Council and later as Prioress. She was one of the founders of the Intercommunity Peace and Justice Center, where she serves as Program Director. She is also the Director of the Northwest Coalition for Responsible Investment. Sister Maurine and the late Renee Richie, OP, began to minister with displaced and impoverished people in a remote, rural area of the Dominican Republic in 1990. They met with the women of El Cruce de Arroyo Hondo to identify needs and dreams: a medicine dispensary and a K-12 school, Escuela Espíritu Santo Fe y Alegria, which has become the heart of the community. Sister Maurine left the Dominican Republic in 2011 and has since ministered in Kenya for three years and for another three years among the Carrier Nation in northern British Columbia, Canada. An Adrian Dominican Sister for 59 years, Sister Maurine taught in the Chicago area for most of her first 30 years in religious life. Sister Janet’s commitment to saving the planet brought her together with Patty Gillis, an Adrian Dominican Associate, to co-found Voices for Earth Justice. Based in Detroit, this interfaith nonprofit organization helps diverse faith communities engage in environmental awareness and action. Sister Janet’s work with Voices for Earth Justice led to the renovation of a house in Brightmoor, one of Detroit’s poorest neighborhoods. Hope House is a gathering place to connect with nature and with people from diverse backgrounds, contributing to the revitalization of the neighborhood. 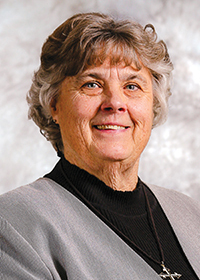 An Adrian Dominican Sister for 45 years, Sister Janet also has ministered as a teacher, university chaplain, parish administrator, residence hall director, and not-for-profit board member. Weber Center is on the campus of the Adrian Dominican Sisters’ Motherhouse, 1257 E. Siena Heights Drive, Adrian. Enter the Eastern-most driveway of the complex and follow the signs to Weber Center. For information, call the Weber Center at 517-266-4000.